The site is zoned for over 500,000 square feet and the developers have already announced and received financing for a residential tower, so I assume the retail ad is just for the base, or for another project. Sad to see this go. The facade looked like it was cleaned recently too. There's a better rendering on the building site. Permit says 30 stories, 465'. So it could still push 500'. 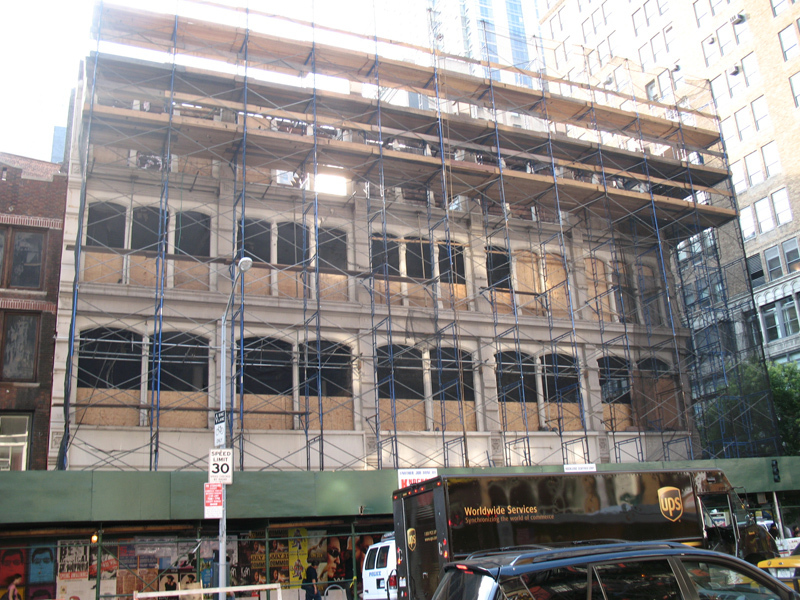 On the next block at 885 Sixth Avenue, this will rise. Basically every block on the west side of Sixth, from 23rd to the Manhattan mall has a new building built or going up. Looks like the new Kondylis' designed this. Hate those silly looking frames on the facade. Last edited by Derek2k3; September 8th, 2007 at 01:14 PM. 32nd Street is a block up from the demo site shown. the rendering even shows Manhattan Mall across the street. This is a different building. Up the block from the Epic. Wow where did 885 come from? We should probably start a new thread. Occupancy in 2nd quarter 08 won't be happening either. This area of the city is changing so rapidly. The shadows may be distorting this image, but the facade seems to be wavy. It could be nice. Then, again, Kostas is the "architect." "[QUOTE=sfenn1117;178621]^The loss of that building is a blow. So unnecessary to demolish it, it was in pristine condition. I took this March of 06The rest can go:"
Even though the building to the right is a loss, although not a very significant one, the removal of all of these buildings on this block, along with all of the flea market type stores at the bottom of all of these buildings, can make this a good development move. The building to the right is nothing close to like losing the Drake or, god forbid, the Roosevelt, which will most likely never be built again in these times. 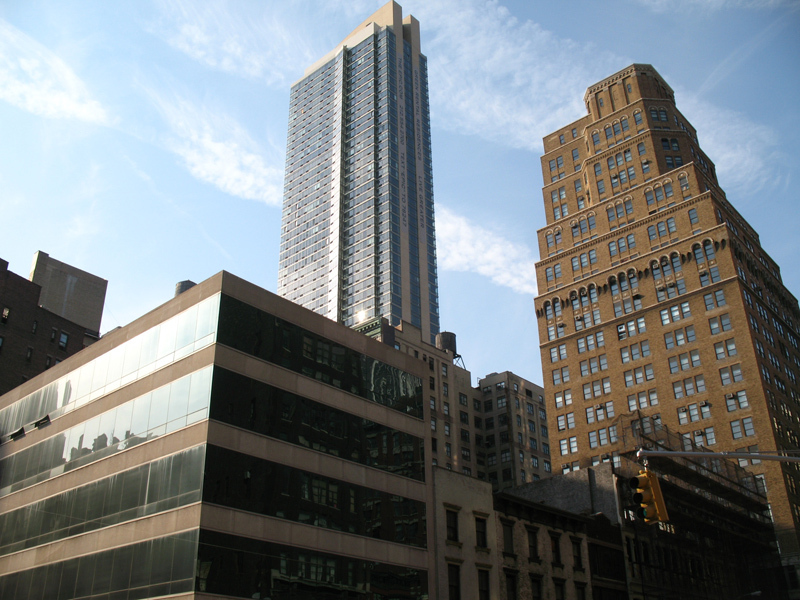 The building to the right can and are being built today as they are doing in tribeca and soho. So long as the replacement is descent, I give it a thumbs up. Last edited by Scraperfannyc; September 9th, 2007 at 09:52 PM. Winick put up this sketchy rendering recently, it even has a piece of the building being demolished in the image. Wow! This is much nicer than what I expected. Last edited by londonlawyer; September 12th, 2007 at 11:39 PM. A hastily and unprofessionally photoshopped rendering no doubt, leaving in that striped building in the back there like that. These bases are pretty much all the same now, unremarkable square or retangular glass boxes. Is it that hard to add some creativity and distinctive features on them?